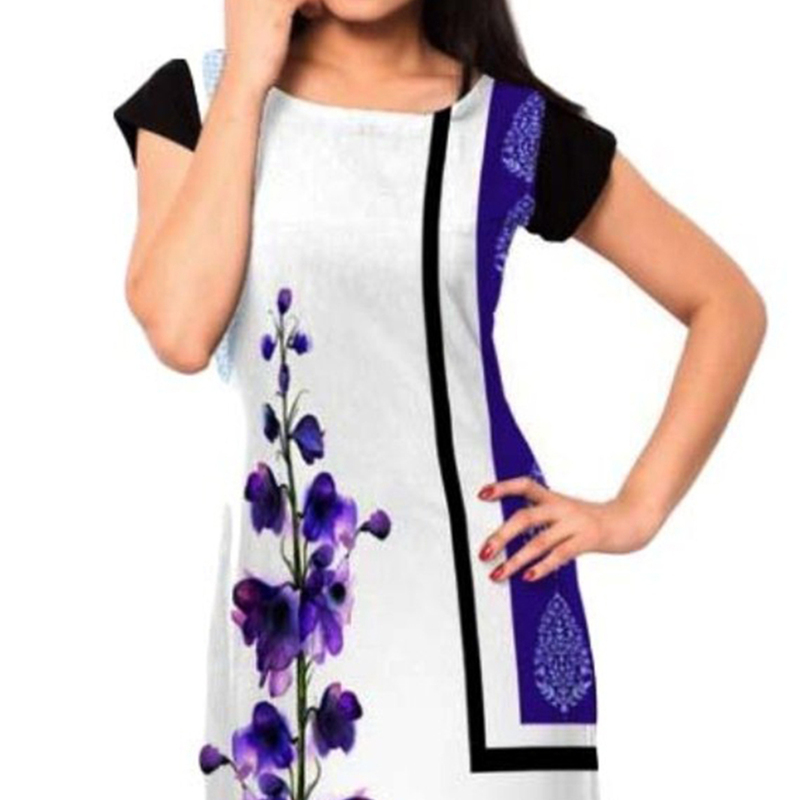 Make your everday look more ethnic with this white - purple kurti. 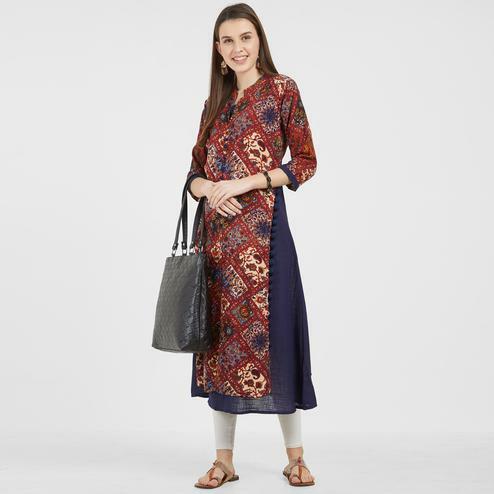 This kurti is made from crepe fabric & beautifully detailed with paisley floral design print work as shown. 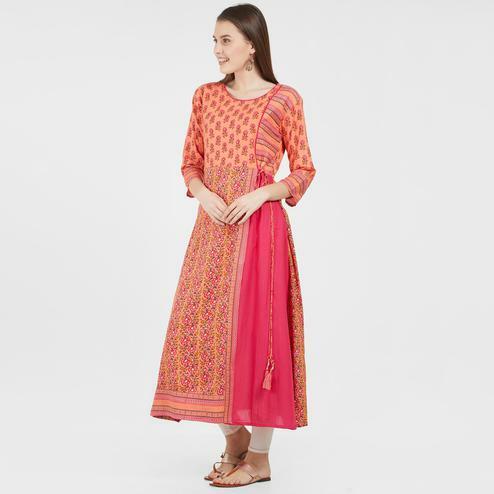 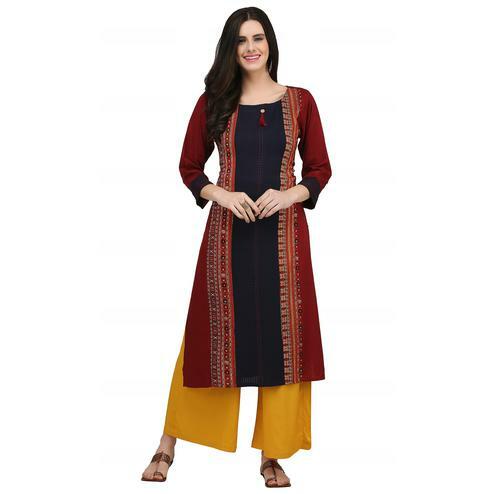 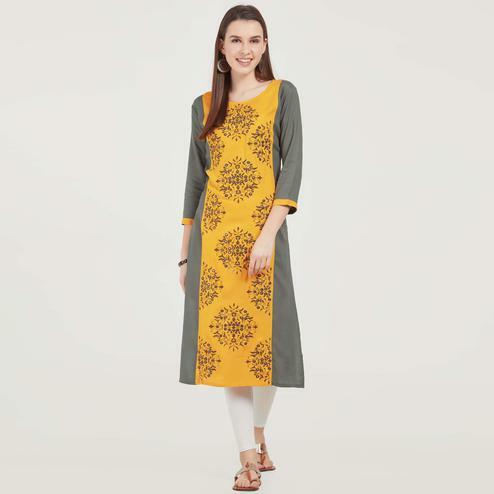 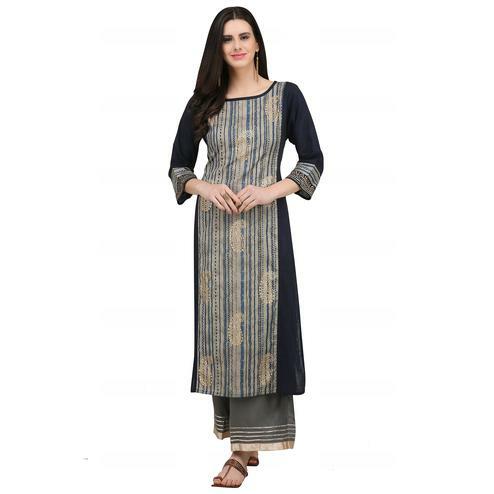 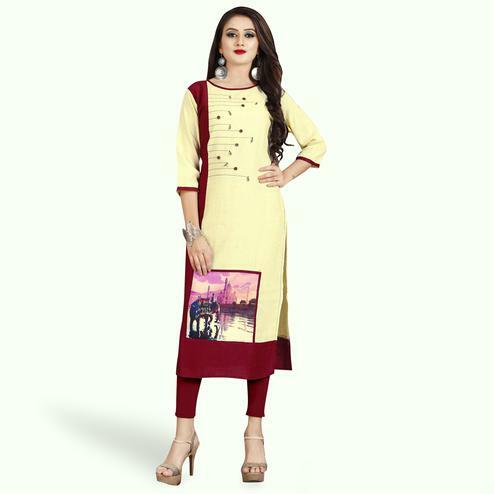 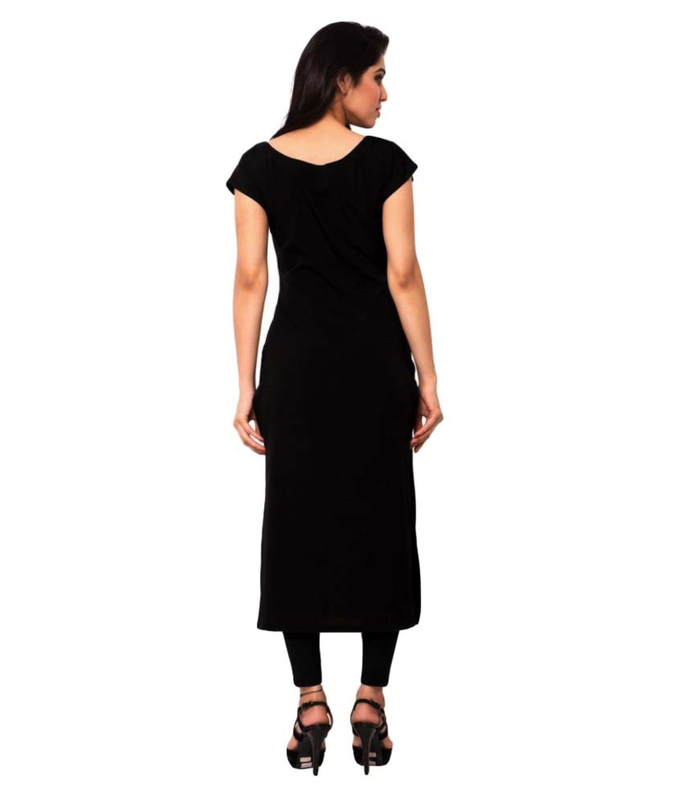 Team this casual wear kurti with matching churidar or leggings for a complete look.